Penney’s – Garrettsville / Effective January 1, 2017 our Garrettsville talent and resources will move to our Ravenna location. New car technology requires more equipment and extensive training to insure proper repairs. We feel this is best accomplished by moving our resources to a single location. Therefore, effective January 1, 2017 our Garrettsville operation will move to our 9,000 sq ft Ravenna location. 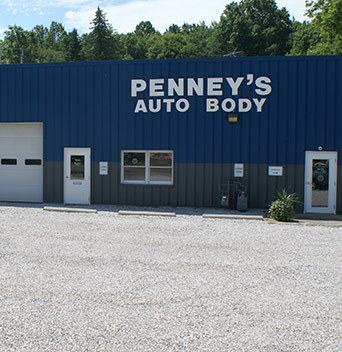 We appreciate the trust our Garrettsville customers have given us over the past 38 years to repair their vehicles to pre-accident condition and OEM safety standards. Thank You. Please allow us to continue to help you with your collision needs in the future.